Our spring and summer enrollment is now open. Click below to see available classes. Our preschool classes are for children ages 3 and up, and are the perfect way to introduce basic gymnastics skills and shapes. With a student to teacher ratio of 6:1 and a progression based curriculum, your child will be off to a great start! For school age children, we offer gymnastics classes and tumbling classes. We offer a variety of levels of classes to challenge each child at their skill level. We have a student teacher ratio of 8:1 in these classes. 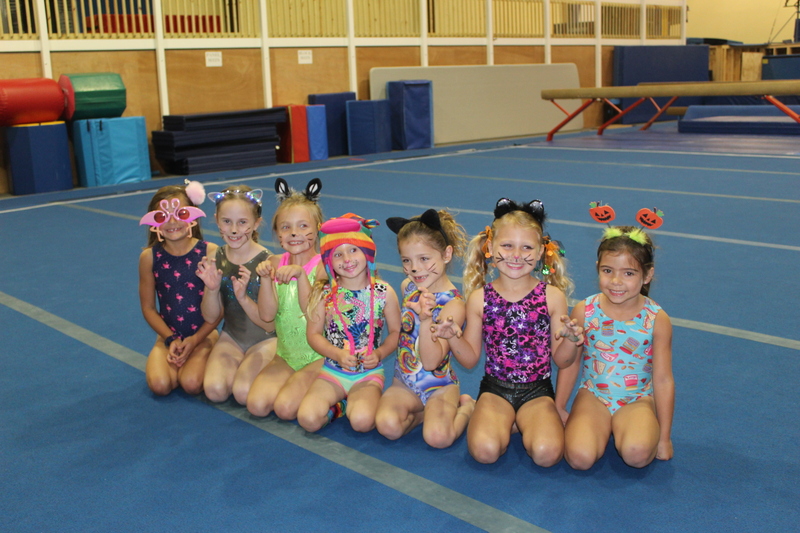 We offer USAG JO Levels 3-10, Xcel and the TOPS program at LA Gold Gymnastics. These programs are by evaluation only. Our competitive team focus is on good technique, progressive training, and on helping our gymnasts develop life skills through what they learn in our sport. Located conveniently in Baton Rouge, LA Gold Gymnastics boasts a 10,169 sq. ft. facility with highly skilled coaches and an average 8:1 gymnast to coach ratio. Our main focus is gymnastics and we believe gymnastics can be a great experience for every child at any level. We love watching our gymnasts succeed in learning new skills. Whether it is a forward roll or a back handspring on beam, we like to work with each child to help them reach their full potential.